All Tamilians of Tamil Nadu should celebrate the day of declaration of "Tamil Nadu"
Thread: All Tamilians of Tamil Nadu should celebrate the day of declaration of "Tamil Nadu"
"All Tamilians of Tamil Nadu should celebrate the day of declaration of "Tamil Nadu" State - 'within the framework of Mother India' on the 1st of November as - "Thamilar Peru Vilaa" "very grandly" and "annually"
The Article below was brought forward on the occasion of the "Birth Anniversary" (today the 26th of July) of Late "SILAMBUCH CHELVAR - 'Padmasiri' Ma.Po.SIVAGNANAM" the first "Native Tamilian of Tamil Nadu" who formed the first "Tamilian Political Party" named "Thamil Arasu Katchi" which was earlier known as 'Thamil Arasu Kalagam', soon after all States of India were divided into seperate States based on the "Linguistic Majority of each State". "Sanjaya said listen to me O king (Thiratharastra).......to the names of the provinces as I mention them. They are.......the Keralas......the Andhras.......There are other kingdoms O bull of Bharatha's race, in the south. They are the Dravidas, the Keralas (repeated again)......the Karanatakas.....the Cholas......"
".......and even Krishna himself.......addressing Yudhishthira said That prosperity which the sons of Pritha had acquired at Indraprastha and which unobtainable by other kings was beheld by me at the Rajasuya sacrifice at which besides I saw all kings even those of the Vangas and Angas and Paundras and Odras and and Cholas and Dravidas and Andhakas and the chiefs of many islands and countries on the sea-board as also of frontier states including the rulers of the Sinhalas, the barbarous Mlecchas, the natives of Lanka, and all the kings of the west by hundreds, and all the chiefs of the sea-coast, and the kings of the Pahlavas and the Daradas and the various tribes of the Kiratas and Yavanas and Sakras and the Harahunas and Chinas ........"
".......When that host was being thus struck and slain by heroic warriors, the Parthas headed by Vrikodara advance against us. They consisted of Dhrishtayumna and Sikhandin and the five sons of Draupadi and the Prabhadrakes, and Satyaki, 'and Chekitana with the Dravida forces', and the Pandyas, the Cholas, and the Keralas, surrounded by a mighty array, all possessed of broad chests, long arms, tall statures an large eyes. Decked with ornaments, possessed of red teeth, endued with the prowess of infuriate elephants, attired in robes of diverse colours, smeared with powere scents, armed with swords and nooses, capable of restraining mighty elephants, companions in death, and never eserting one other, equipped with quivers, bearing bows adorne with long locks, an agreeable in speech were the combatants of the infantry files led by 'Satyaki belonging to Andhra tribe', retinue with fierce forms and great energy. Other brave warriors such as the Chedis, the Panchalas, the Kaikayas, the Karushas, the Kosalas, the Kanchis, and the Maghadhas also rushed forward........"
"......and the son of Pandu left that part of the country having subjugated the Dasarnas, the Sivis, the Trigartas, the Amvashtas, the Malavas, the five tribes of the Karnatas, and those twice born classes that were called the Madhyamakeyas and Vattadhanas. And making circuitous journey that bull among men then conquered the (Mlechcha) tribes called the Utsava-sanketas. And the illustrious hero soon brought under subjection......"
Further the renowned Kannada Historian "Shamba Joshi" traces the Kannada Race to the earliest Vedic Race called "Kanna". He further states the "Kalavar Race" (Kalabhras of South Karnataka) as the "Moola Dravida" and "Kanna" as "Arya Dravida". Hence from the foregoing it is very clear that the "Dravidas" mentioned in the Mahaabharatha were no other than the "Kalavar Race", and the "Karnatakas" mentioned in the same Mahaabharatha were the "actual Karnatakas" or "Kannas" who lived in a region south of then Malava (country) present South Maharashtra, though both the north and south regions presently falls into the present Karnataka State. Hence it is clearly evident "Dravidian" was "never" a name used to designate the "then Tamilians of the Chera, Chola, Paandiya, Kongu & Thondai(mandala) countries" - the regions which covered the present Kerala and Tamil Nadu. However in the eighteenth century "Robert Caldwell" from the west who did Research Studies in Tamil Nadu in Linguistic Studies used "on his own will" the term "Dravidians" to refer to "all South Indian Lingustic Groups" of South India, namely Tamil, Malayaalam, Telungu, Kannadam and Tulu - but 'not as a single term to refer to the "Tamilians" - the majority community of Tamil Nadu'. Hence all 'Historians' of Tamil Nadu, the 'Media', and the 'Politicians' should "refrain from referring" to the TAMILIANS of Tamil Nadu as 'DRAVIDIANS' - but refer only as "TAMILIANS of Tamil Nadu (the Mannin Mainthar)". It is very regretable to note since of late some group in Tamil Nadu, have begun referring to the "Tamil Thai Pongal Festival" as 'Dravidar Thirunaal' - instead of the traditional term that existed as "Thamilar Thirunaal" completely "misleading" and "confusing" all Tamilians of Tamil Nadu with their "false proclamation" - What are their motives ??? Is it to suppress and destroy the Tamil - Language & Culture, and the "Tamilian Identity" of the Tamils of Tamil Nadu - which has been "their own motherland" around three thousand years??? In in the year A.D.1956 the Central Government of India partitioned whole of India in to New States based on the Linguistic concentration of people in each region. Thus came in the New Union Territories of India each with a new name of it's own. Accordingly the region which was with predominantly Tamil Speaking people was named as Madras State". However with the great efforts of the Tamil Leaders 'especially' "Thiagi Sankaralinganaar" of this period of Vilupuram - Madras State who fasted to death for the cause of renaming Madras State as "Thamilakam''. However it was during the rule of C.N.Annadurai as Chief Minister the name of 'Madras State' very correctly and rightfully changed into "Tamil Nadu" fulfilling the great cause of "Thiagi Sankaralinganar" by a legislation in the State Government Assembly and approval of the Central Govenment of India in the year A.D.1968. "Tamil Nadu" has been the traditional homeland of the "Native Tamilians" speaking Tamil - over 3000 years, where they are still the majority being 89.43% of Tamil Nadu's total population. Important Note: In the above song it is very correct to change the existing phrase as "....Thekkanamum Athi sirantha Dravida nal thiru Naadum....." to ".....Thekkanamum, Dravidamum, Athi sirantha "Thamil nal thiru Naadum"...."
"Tamil Nadu" has been the motherland of "Native Tamils" over 3000 years, "where they are still the majority being 89.43%" as per the Tamil Nadu Ethinic Statistics of the year 2001. "Thamil Nadu" is for Tamils - like how Andhra is for Telugus, the Karnaataka is for Kannadas, and Kerala is for Malayaalees". The other Races born or settled in Tamil Nadu should be "very faithfull" to Tamil Nadu their adopted State for living in India, and work "for it's healthy growth and development" "living very amicably and peacefully" with the "Native Tamils". This reminds of two 'lines' in a Tamil Song in one of the Tamil Films produced in Tamil Nadu as "UPPITTA THAMIL MANNAI NAAN MARAKKA MAATTEN - KATCHIHALAI PATHAVIHALAI NAAN VIRUMBA MAATEN". That should be their Motto. Further Viyaasar's original Sanskrit Mahabharatha very positively confirms that "Dravidians" have never been the name of Tamils or the people of Tamil Nadu at any time, "but was the name of a section of people who were living at that time in the present South Karnataka" The Cherar, Venaataar (Aye), Cholar, Paandiyar, Thondaimandala and Kongu - Tamil kings, were "never ever" refered to as Dravidians. There are no references to Tamilians as Dravidians anywhere in the ancient, medieval and later period voluminous - Tamil Literary Works, Tamil Religious Literature, and very numerous Tamil Temple Inscriptions. The renowned Kannada Historian "Shamba Joshi" traces the Kannada Race to the earliest Vedic Race called "Kanna". He further states the "Kalavar Race" (Kalabhras of South Karnataka) as the "Moola Dravida" and "Kanna" as "Arya Dravida". Hence from the foregoing it is very clear that the "Dravidas" mentioned in the Mahaabharatha were no other than the "Kalavar Race", and the "Karnatakas" mentioned in the same Mahaabharatha were the "actual Karnatakas" or "Kannas" who lived in a region south of then Malava (country) present South Maharashtra, though both the north and south regions presently falls into the present Karnataka State. Hence it is clearly evident "Dravidian" was "never" a name used to designate the "then Tamilians of the Chera, Chola, Paandiya, Kongu & Thondai(mandala) countries" - the regions which covered the present Kerala and Tamil Nadu. Hence in future all - "Historians", "Politicians", "Media" and the "Others" of 'Tamil Nadu and elsewhere' - should not refer to the "Tamilians" as "Dravidians" - but only as "Tamilians"
It was a group of People and Polititions of 'the last century Tamil Nadu' who have created a "false bogey" in the life of Native Tamilians of Tamil Nadu with the creation of a new term called "Dravidians" as the general name 'for all people of Tamil Nadu', paving way for the 'minority' non-Tamilians to capture politically and economically the reigns of Tamil Nadu over to themselves, from the 'majority' Native Tamils', and gain complete control over Tamilians overcoming them in Tamil Nadu which has been their own Motherland over 3000 years and where they are still the majority being 89.43% of Tamil Nadu's total population. 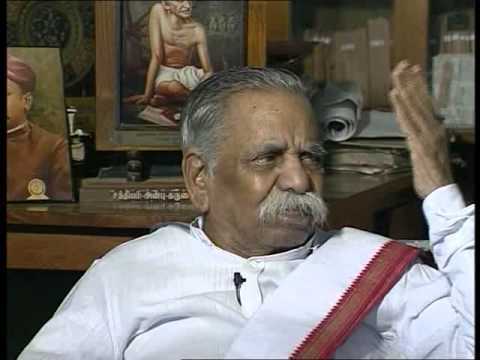 ".......the Film-based Dravidian Politics, which the ............. Non-Tamil (Leaders) in the "Tamil country" cultivated - so blatantly betrayed the Tamils....'Tamils have thus lost their very "Linguistic Tamil National Identity" through the Dravidian trap'......in the contrary, Kannada, Telugu and Malayaali "ethnic consciousness grew strong" with the formation of the new States of Andhra Pradesh, Karnataka and Kerala". The "State of Tamil Nadu" too was formed by the Central Government of India at the time all "New States of India" were demarcated on the basis of "Predominently Spoken Language of the respective Regions" in 1956". While in "all" newly formed States of India only the "respective Natives of those States" rightfully received the power to rule their own Regions under the framework of Unified India, the "Tamil Nadu" has been continuously ruled by Non-Tamilians for nearly 49 - years since the demarcation of all New States, as against the rule of "Native Tamilians in Tamil Nadu". When will the "Native Tamilians" - "the majority in Tamil Nadu" start ruling their own country "within the framework of India", which has been their "own Motherland" over "three thousand years", as against the "Non-Tamils" - who are in minority "in Tamil Nadu" and ruling same - from the time all States of India were 'newly formed' by the Government of India on the basis of Language in the year 1956. Why should the "Native Tamilians" who are in the 'majority' in Tamil Nadu (89.43% as per the Ethinic Statistics of India of the Year 2001 - be suppressed and kept as "Secondary Citizens" (அடிமைகள்) and as "Beggers" (பிச்சைக்காரர்) for their day to day needs as 'Freebees' - by the Non-Tamils, without "Much - Education, Job Opportunities, Development, and High Status in their Social Life - in the present Tamil Nadu which has been their own "motherland" over 3000 years". Many Tamilians have also been made heavy Liquor Addicts (Government Sponsored) loosing their "great Intellectual Power and Knowledge" - "to develop their Own Life and Own Motherland" by becoming great Professionals (such as Doctors, Engineers, Accountants, Lawyers, IT Expets etc etc) and Administrators, Polititions and Rulers of Tamil Nadu, the positions presently very heavily dominated by the non-Tamils of Tamil Nadu. A "Call" to all "Educated & Talented Tamilians of Tamil Nadu" spread World over - to come back and take to Politics in Tamil Nadu, "to save their Motherland" and serve in it's overall development. When will the "Native Tamilians" be freed from the grip of "Slavery to Non-Tamilians" ruling Tamil Nadu continuosly over 49 - years ? ? ? - and rule Tamil Nadu themselves "within the framework of India". The foregoing is an age old grievance of many 'Native Tamilians' of Tamil Nadu since independence. This was the reason which prompted the former Leader of Tamil Arasu Kalakam (later Tamil Arasu Katchi) of Tamil Nadu namely Ma.Po.Sivagnanam (Silambuch Chelvar) to write as "Engum Ethilum Thamilar allaathaar" in his book titled "Thamilahaththil Pira Moliyinar (தமிழகத்தில் பிற மொழியினர்)". Also during the International Conferance - Seminar on Tamil Studies held in Mathurai in 1981 an old "Native Tamil Gentleman" was asked by another a simple Question which was - "In which part of Tamil Nadu pure and sweet Tamil is spoken ??" The old Gentleman burst into a temper and shouted at him saying "Thamil Naattil enge Thamilan irrukkintraan ?????" - The above two gives a clear insight of the actual situation in Tamil Nadu then and today. "தமிழாய்ந்த தமிழன்தான் தமிழ்நாட்டின் முதலமைச்சாய் வருதல் வேண்டும்". தமிழ்ப்பகைவன் முதலமைச்சாய்த் தமிழ்நாட்டில் வாராது தடுத்தல் வேண்டும். அமையாது. சிறிதும் இதில் ஐயமில்லை, ஐயமில்லை அறிந்து கொண்டோம். தமிழெங்கே? தமிழன்நிலை என்ன? 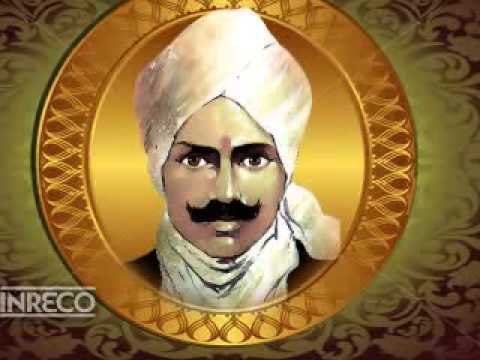 எனத் தாமறியாத் "தமிழர் என்பார்"
"தமிழர் நலம் காப்பவராய் அரசியலின் சார்பாக வரமுயன்றால்"
அமைவாக ஆயிரம்பேர் அறிஞர் உள்ளார் எனமுரசம் ஆர்த்துச் சொல்வோம். அகலுமன்றோ தமிழ்நாட்டின் அல்லலெலாம்?" அல்லாக்கால் அமைதி யுண்டோ? 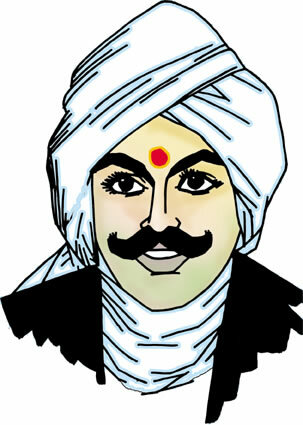 "தமிழ்க்கல்வி தமிழ்நாட்டில் கட்டாயம் என்பதொரு சட்டம் செய்ய"? ஆங்கிலநூல் அறிவுக்குச் சான்றிருந்தால் அதுபோதும் அலுவல் பார்க்க! "தீங்கற்ற தமிழறியான் செந்தமிழ் நாட்டு அலுவலின் மேற் செல்லலாமோ"? செந்தமிழ் உணர்ச்சியை "வேல் கொண்டு" (= uruthiyaayi) தாக்குவோம் ! பண்டைப் பெரும் புகழ் உடையோமா இல்லையா ? பாருக்கு வீரத்தைச் சொன்னோமா இல்லையா ? எங்கட்கு இங்குற்ற "நரிகளால்" (= Thamilukku ethiraai soolchchi seipavarkal) தொல்லையா ? செந்தமிழ் நெஞ்சம் கொதித்ததா இல்லையா ? "சூழ்ச்சி நரி" (soolchchi seipavarkal) தான் நடுங்கிற்றா இல்லையா? முந்தா நாள் விட்ட பிஞ்சுகள் தமிழை முறிக்க எண்ணுதல் மடமையா இல்லையா ? தமிழர் ஒற்றுமை நிறைந்ததா இல்லையா ? தமிழர் தம் ஆட்சி சரிவதா இல்லையா ? "தமக்கு தமிழகம் அடிமையே" என்னும் சரக்கு-மரவேர் அறுந்ததா இல்லையா ? It is the "Native Tamilians" who "should rule Tamil Nadu" in the future, within the framework of India being the 'majority' - like how Andhra is being ruled only by "Native Telugus", and Karnataka is being ruled only by "Native Kannadas" and Kerala being ruled only by "Native Malayalees" from the year of formation of new States of India in 1956, with all "High Positions" in the respective "State Government Mechanisms" throughout 'each of these States', being held only by 'Native - Telugus, Kannadas and Malayalees' of these States. "Dr A.P.J Abdul Kalam" had completed seven chapters of a book in Tamil, "எண்ணத்தில் நலமிருந்தால் கனவு தமிழகம் உருவாகும், புயலை தாண்டினால் தென்றல்" - "A dream 'Tamil Nadu' can happen if there are sincere efforts - turning a storm into a breeze!" Highlighted by Thiru "NOV" - Administrator of Indian History & Culture, "Mayyam Hub Website"
"All Native Tamilians of Tamil Nadu" being the Muthaliyaar, Naadaar (Naadaalvaars), Thevar, Theventhrakula Vellalar, Vanniyar, Gounder (Kaamundar), Vellaalar, Udaiyar, Chettiyaar, Muththaraiyar, Mukulaththor, Iyengaar, Iyer, Mallar, Kallar, Maravar, Konaar, Aathi Thiravidar etc etc, and the (so called) Dalits as Parayar, Pallar, etc etc "irrespective of their Castes" "should unite and jointly elect" "Native Tamilians" - as "Members" to the நகராட்சி, சிற்றூரின் நல்லாட்சி, மாவட்ட ஆட்சி etc at the forthcoming Elections in Tamil Nadu. Last edited by virarajendra; 18th February 2018 at 10:27 AM. Last edited by virarajendra; 18th September 2017 at 10:25 PM. Last edited by virarajendra; 14th October 2017 at 09:29 PM. All times are GMT +5.5. The time now is 03:37 PM.